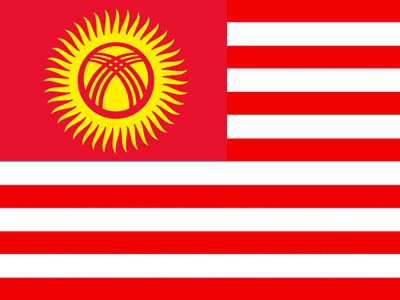 The United States of… Kyrgyzstan? A Kyrgyz official has sparked public outrage by suggesting auctioning off the country wholesale to the EU, the USA and Japan. The radical plan authored by Uran Cherkirbayev, an employee of the Foundation for Economical Development of the Kyrgyz Finance Ministry, suggests leasing whole provinces and sectors of economy to other nations. The US would take banking; Switzerland would develop tourism in the Kyrgyz mountains; France would build a power plant in the eastern regions and export power to neighboring China; and all security issues would be managed by Israel. The result would be a rich and corruption-free country, the United States of Kyrgyzstan, he believes. The extraordinary get-rich-without-effort scheme was taken rather angrily by some fellow Kyrgyz, especially since it was voiced by a man holding a public office. Some have even called for criminal charges to be brought against Cherkirbayev for a conspiracy against the country’s sovereignty.